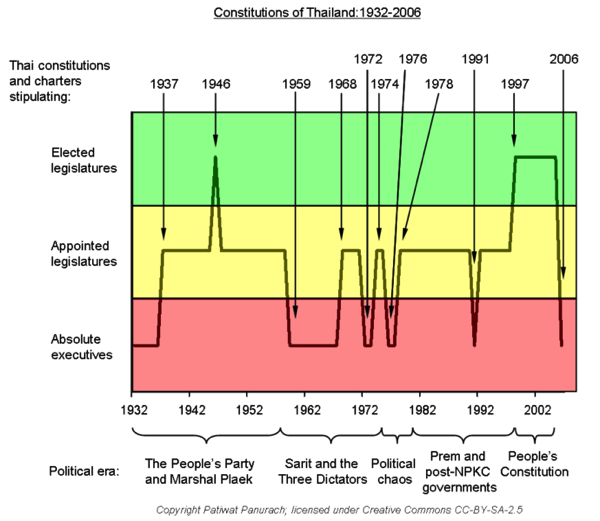 As you’ll see above, Thailand’s many constitutions and charters through the years have had varying numbers of elected and appointed executives; political turbulence surrounding such changes has been the norm for Thailand. It’s no different today. For more on the court verdict, I suggest this Wall Street Journal story. There’s more from The AP, BBC, The New York Times, and Reuters.